Ciliopathies are rare disorders involving functional and structural abnormalities of cilia. Although they are rare, they may reach 1 in 1,000 births. Unfortunately, there are no small-molecule drugs for treating ciliary defects. 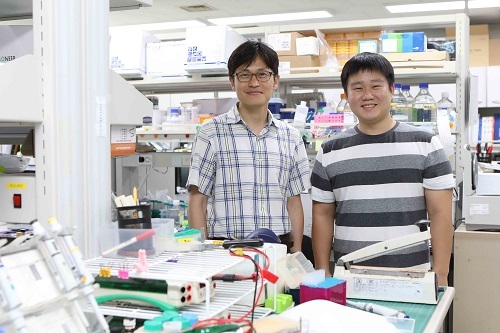 A KAIST research team conducted successful research that introduces a potential treatment that will be a foundation for developing drugs to treat the disease as well as a platform for developing small-molecule drugs for similar genetic disorders. 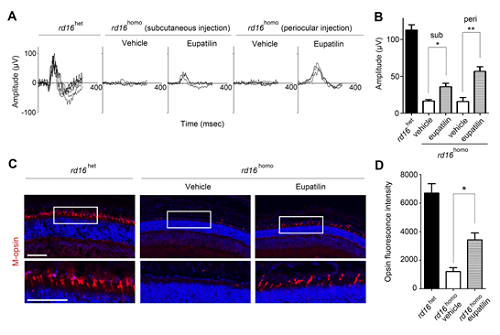 It was found that mutations in genes required for the formation or function of primary cilia cause ciliopathies and they result in cerebellar disorders, kidney dysfunction, and retinal degeneration. Primary cilia are cell organelles playing a crucial role in the human body. They participate in intercellular signal transduction during embryonic development and allow retinal photoreceptor cells to function. Currently, there are no approved drugs available for treating most ciliopathies. In fact, this is the case for most of the rare genetic disorders involving functional abnormalities through genetic mutation, and gene therapy is usually the only treatment available. To tackle this issue, a team led by Professor Joon Kim from the Graduate School of Medical Science and Engineering and Ho Jeong Kwon from Yonsei University constructed a cell that mimics a gene-mutated CEP290, one of the main causes of ciliopathies, through genome editing. 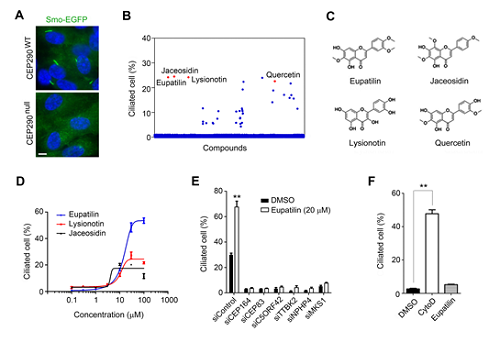 They then used cell-based compound library screening to obtain a natural small-molecule compound capable of relieving defects in ciliogenesis, the production of cilia. The CEP290 protein forms a complex with a ciliopathy protein called NPHP5 to support the function of the ciliary transition zone. In cases where the CEP290 protein is not formed due to a genetic mutation, NPHP5 will not function normally. Here, the compound was confirmed to partially restore the function of the complex by normalizing the function of NPHP5. The team also identified that the compound is capable of retarding retinal degeneration by injecting the compound into animal models. As a result, they discovered a lead compound for developing medication to treat ciliopathy patients involving retinal degeneration. Hence, the findings imply that chemical compounds that target other proteins interacting with the disease protein can mitigate shortages of a disease protein in recessive genetic disorders. This research was published in the Journal of Clinical Investigation on July 23.